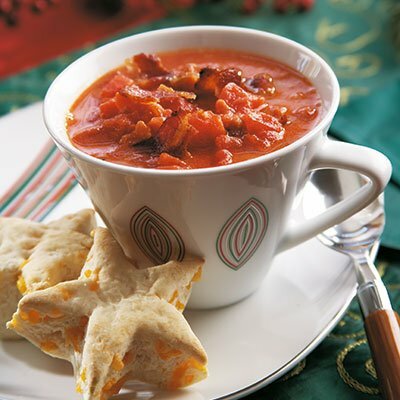 Keep the season warm and cozy with hearty soups and fresh-from-the-oven breads. 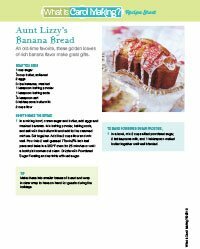 Aunt Lizzy's Banana Bread is a family favorite—I make it every week! Scroll down on this page and see all of the wonderful soups and breads we have for you! Then choose the Recipe Sheets you want to print. After you purchase the download, you will receive a link on your e-mail to download the PDF. It couldn't be easier! This is the banana bread I make all the time. You can also use this recipe to make banana muffins. Just scoop the batter into paper-lined muffin tins and bake. All my friends love these muffins and if you want to add a little frosting on top—it makes a great gift! 1 In a mixing bowl, cream sugar and butter, add eggs and mashed bananas. Mix baking powder, baking soda, and salt with the buttermilk and add to the creamed mixture. Stir together. Add the 2 cups flour and mix well. Pour into 2 well-greased 71⁄2x4x23⁄4-inch loaf pans and bake in a 350°F oven for 25 minutes or until a toothpick comes out clean. 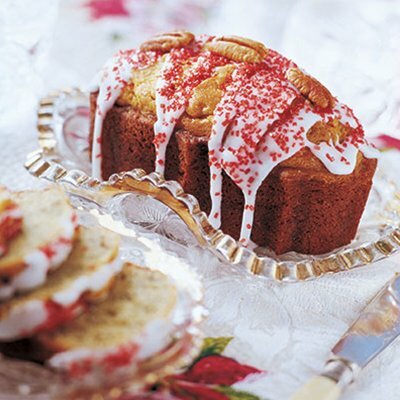 Drizzle with Powdered Sugar Frosting and sprinkle with red sugar. 1 in a bowl, mix 2 cups sifted powdered sugar, 2 tablespoons milk, and 1 tablespoon melted butter together until well blended. Make these into smaller loaves of bread and wrap in clear wrap to have on hand for guests during the holidays. This is really a simple yeast bread recipe. Don't be afraid of making yeast bread—it is actually quite forgiving. I make it with my 8-year old granddaughter and she loves to knead it! It always turns out great! 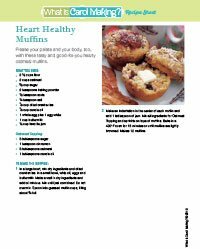 Download the Recipe Sheet at the top of the page for a hard copy of this great recipe. 1 Mix the milk, water, dry milk, yeast, and 1 tablespoon sugar together in a bowl. Set aside. Melt the shortening. Allow to cool. Add the 3⁄4 cup sugar, shortening, salt, and beaten eggs to the yeast mixture. 2 Beat in the flour until it is stiff. Turn out on floured board and knead until smooth and elastic. Set in large bowl and cover with damp towel. Let rise for about an hour or until double in bulk. Punch down and roll half of the dough out into a 9x13-inch rectangle shape. Spread with 1⁄4 cup butter, 1⁄4 cup brown sugar, 1⁄4 cup white sugar, and1 teaspoon cinnamon. Roll up and slice into 11⁄2-inch slices. In the bottom of an 8x8-inch pan, mix 1⁄4 cup melted butter, 1⁄4 cup brown sugar, and 1 tablespoon corn syrup. 3 Lay pecans upside down in butter mixture. Lay the rolls in pan over the mixture. Repeat for other half of dough. 4 Cover and let rise for 30 minutes. Bake in a 350°F oven for about 25 minutes. Remove from oven and turn upside down onto foil. Makes 18 rolls. This is a great soup for any time of year. But is it perfect for cold winter nights! Serve with star-shaped cheesy biscuits. 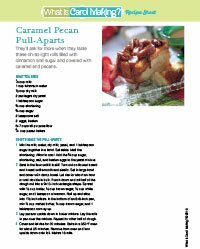 Download the Recipe Sheet at the top of this page for a hard copy of this great recipe. 1 In a large saucepan, cook onions in butter until tender. Stir in the flour, thyme, and basil. Add chicken broth and tomatoes and bring to a boil, stirring constantly. Cover and simmer for 10 minutes. Remove from heat. Add cream to soup mixture, return to heat and heat to simmer. Do not boil. Remove from heat, ladle into bowls or cups and sprinkle with bacon pieces. Makes 6 servings. 1 Mix biscuit dough as directed on package. Add shredded cheese. Roll out to 1⁄2-inch thick. Cut with star cookie cutter. Place on ungreased cookie sheet. Bake in a 400°F oven for 10 minutes or until golden brown. Serve biscuits immediately. Makes 10 biscuits. 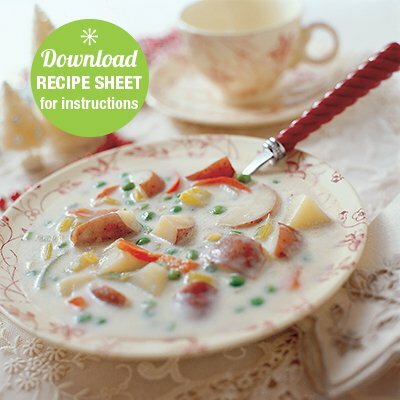 So rich and creamy, this potato soup is made using red potatoes—simply wonderful! 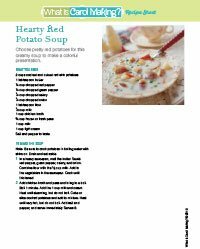 Everyone loves this hearty soup—especially the kids! Download the Recipe Sheet at the top of this page for the recipe and tips. 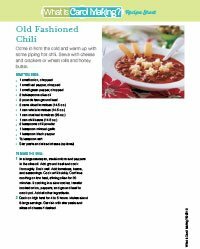 Everyone' favorite winter soup—chili! 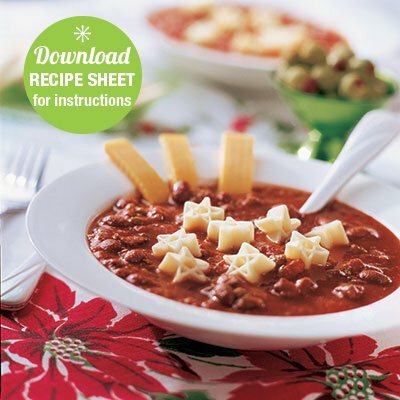 Top with little star pastas for the kids! 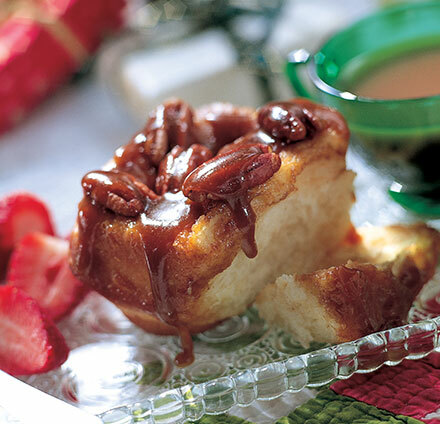 Make this in the slow-cooker and have it ready when the family arrives! Download the Recipe Sheet at the top of this page for the recipe and tips. 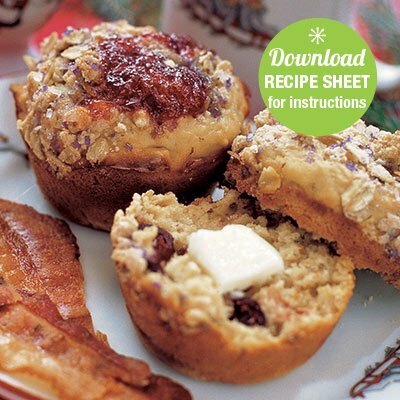 Just as yummy as they are healthy, these muffins are made with whole-grain oatmeal and walnuts. Just a dollop of jelly in the center before baking makes them so pretty! I use a red jelly when I make these and it is always a hit! 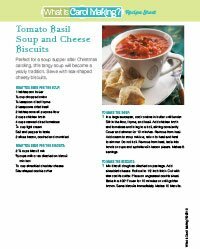 Download the Recipe Sheet at the top of this page for the recipe and tips.